Read our article written by NZ Business Magazine (published April 2019) about how we got started. What do you get when a successful entrepreneurial investor teams up with a clever inventor? Outstanding business outcomes. Meet StockTrim – the SaaS-based inventory forecasting system set to take on the world. When serial entrepreneur Dominic Sutton decided to team up with software engineer and inventor Paul Simpson it was almost a no-brainer. Dominic had been looking for an investment opportunity and had put a message on a technology start-up page on Facebook outlining what he was looking for. With his experience in marketing and in building and selling businesses he was looking for a new challenge and wanted something that was globally scalable and based on the Software-as-a-Service (SaaS) model with a recurrent revenue stream. Dominic also wanted something he could focus on and help build for a share in the business and he was willing to supply funding. “I’m very conscious of people with great ideas and no money. If they don’t have that ability to scale, great ideas never get to see the light of day. A good idea doesn’t mean anything without the money to execute that idea,” he says. After he posted on Facebook a dozen companies approached him. There were some great ideas but for various reasons they didn’t work for him. And then there was Paul Simpson and his company StockTrim. The company’s new website claims StockTrim is “the world’s smartest inventory forecasting software”. Dominic explains it is essentially a technology that in the past was the domain of expensive, time consuming enterprise systems. But with StockTrim the inventory forecasting software “is available in an easy-to-use cloud-based tool, accessible from anywhere, with a pricing model that can suit any business.” Pricing starts at $99 a month. StockTrim is built on a proprietary machine learning algorithm. It automatically learns the best way to forecast sales, continually compares forecasts with actual results, and over time figures out the real factors that influence a business’s turnover/sales volumes. Dominic says StockTrim is part of a new generation of business systems that automatically read data in business reports using machine learning, understands it and simply tells you what to do. It saves time and is more accurate. Paul had been developing the machine learning algorithm for four years before launching in 2017. However by 2018 he realised he needed help growing the business. Luckily it ticked all the boxes Dominic had been looking for in a company. Prominent on his checklist was SaaS, as an earlier trip to Silicon Valley had highlighted that “the whole subscription economy was going mad – whether in the B2C or B2B space”. While he currently owns a successful advertising business, Pumpt Advertising, that business is very much Australasian-based and bespoke and in a new business Dominic wanted something that could grow globally. Another prerequisite for Dominic was a business where he could have a certain amount of influence rather than just being an investor. He was also looking for something that had a really good business outcome for customers. With StockTrim, he says, that business outcome is a straight forward financial incentive for customers. 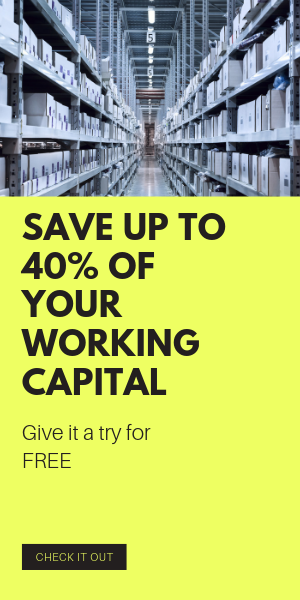 They can save up to 40 percent of working capital and on cashflow as they are not tying up money in unwanted, unused or outdated stock – only ordering stock as it’s needed. And a company is not losing customers because it can’t ship product in time because of a lack of a particular component. The algorithm looks at past behaviour and actions with stock levels and also “stops human beings from doing stupid things” such as over ordering, forgetting to order, or forgetting that it might take up to six weeks for delivery from another country. The idea had come from Paul's 15 years as a software engineer in the corporate and public sector. He’d always had a knack for designing and building software to meet complex business needs, so saw an opportunity with inventory planning and decided to leave his well-paying job to take the plunge into his first entrepreneurial venture. Before Dominic joined him Paul already had customers coming on board. Paul had realised there was a market for the software with so many businesses counting stock, but not doing it efficiently. Since Dominic came on board his marketing background means the company now has a new logo and a website that represents the business’s global aspirations, backed by a very good CRM and integrated marketing platform. The roles are clearly defined, with Paul as CTO and Dominic working on marketing and taking the business global. The biggest impediment to scaling up is getting to the customers and making them realise that the software is simple to bring on board. Dominic says StockTrim needs to be being really clear about its target audience and in carving out a channel. He says for the ROI, StockTrim is almost too cheap, but for now the focus is on the number of monthly users. Subscribers can undertake a free trial for two weeks with no obligation to continue. Dominic and Paul are funding this period of growth themselves and once they have good numbers on board they’ll go out more widely for the first serious round of funding. Already some private investors have expressed an interest. Currently subscribers are mainly in Australia and New Zealand with about 20 percent outside the region and Paul is working to integrate the service with software programmes that US and UK businesses use. As Dominic sees it they are in a niche area with global scope. They want to disrupt the global software industry and be the go-to solution worldwide for any business needing demand forecasting and inventory planning software and wanting to save money on inventory costs.